This entry was posted in Business Tips, Customer Reviews, Local SEO. Bookmark the permalink. Back in the day people formed their impression of a business mostly by word-of-mouth. While that’s still an important marketing tool, these days it will be largely determined by online customer reviews, and they certainly reach a larger audience. It’s important for you to understand how trust is gained, or lost, through online reviews so that you can take control of the process and protect your online reputation. Online reviews have an incredible influence on consumer shopping and buying habits. Recent surveys have shown consistently that 97% search for a local business online before they buy and 12% do so daily. 85% trust anonymous reviews more than they do the opinions of people they know. In addition, consumers read seven reviews on average before giving a business their trust, 73% say positive reviews build trust, 49% require at least a 4-star rating to do business, and every additional star gained on Yelp boosts revenue by as much as 9%. Consumers don’t ignore online reviews, and you can’t afford to either. Obviously, positive reviews build trust, which is logical. Though a certain percentage of consumers are suspicious of reviews, most believe they are reading the honest opinions of people just like themselves who have actually done business with you. It should be noted that too many positive reviews can sometimes backfire and make people suspicious that you’re somehow gaming the system. You might have noticed that some companies have started showcasing the top positive and negative reviews side-by-side on their sites in an effort to counter this. Also, people tend to give less weight to reviews posted on a businesses’ own website. But online reviews allow you to build trust in other ways too. They give you an opportunity to build a personal relationship with your customers, and to tout the benefits your business can provide. You can do this when responding to both positive and negative reviews, which you should be doing as much as possible. Thanking customers who leave positive comments gives you a chance to mention the services your company provided them with. You should always respond to negative comments to offer an explanation and to try to solve the problem that resulted in the complaint. Negative comments have an impact, which you can lessen or erase by trying to resolve the problem. 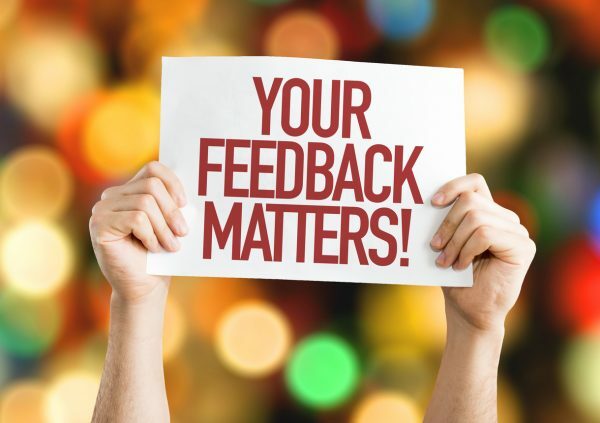 Anytime you interact with reviews you show your customers that you really do value their opinion and their business, that you care about customer service and how your company is perceived. And it also creates a personal connection that people appreciate, especially if you’re a local business. You’re showing your customers that they aren’t just another number in a huge corporations’ databank. Some companies resort to posting fake reviews in an attempt to boost their online reputation. You should never do this. People can usually spot phoney reviews when they see them, and there are even online tools to help them. You’ll only lose trust in the long run. To build trust with online reviews you need to be able to monitor, analyse, and interact with them. Consider a professional service or review software to help you do it effectively.